Home › Products › Healthcare Education › Patient Simulators › Premature Anne › 290-00050 - PrematureAnne,TaskTrain. Want to place learners into real-life scenarios? 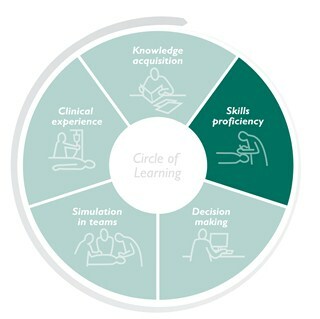 Before putting skills into practice, make use of training scenarios specifically aligned to the objectives of the Neonatal Resuscitation Program (NRP) course curriculum, by pairing Premature Anne with SimPad PLUS.